The operating environment and importance of the sawmill industry and the forest industry in the national economy. During the following decades the Finnish sawmill industry established its position as one of the most important actors among the export industries and as a critical part of the value chain of the forest cluster. The Finnish sawmill industry is globally known as a reliable supplier and marketeer of high quality sawn softwood. The market trend favors sawn wood which is a renewable, recyclable, carbon capturing and sustainable material for versatile end uses within the construction, joinery, furniture and packaging industries, as well as in garden and outdoor construction. 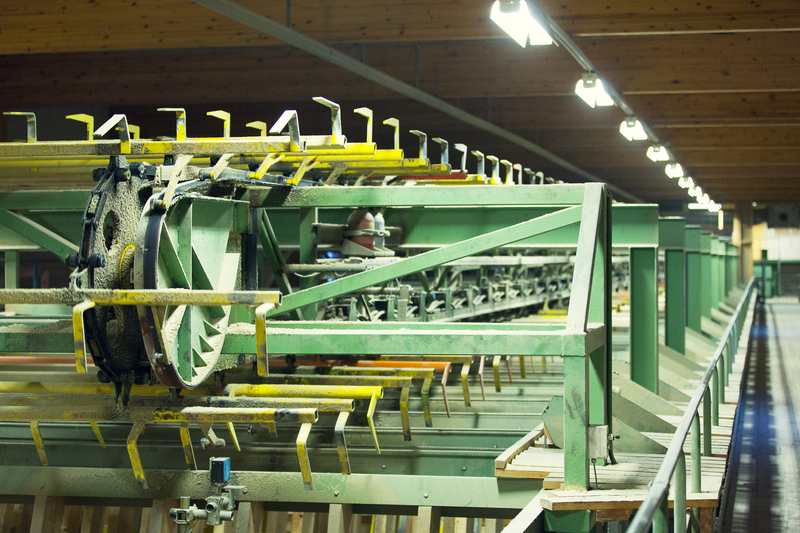 There are more tahn 80 industrial sawmills in Finland, and hundreds of smaller, locally operating mills. The output of sawmills reached 12 million cubic metres in 2018. The turnover was app. 2,8 billion euros. Finland is the seventh biggest sawn softwood producer and the fourth in exports. About ninene million cubic metres of sawnwood was exported and the value of exports reached 1,8 billion euros. Sawn softwood is being exported to more than 60 countries. The biggest market is the domestic market (<3 million m3). The most important export countries are Egypt, Japan, China and Great Britain. Almost all inputs within the industry are domestic, including the world-calss sawmilling technology. On the top of sawn softwood, the mills produce high quality raw material for the pulp- and paper industries. 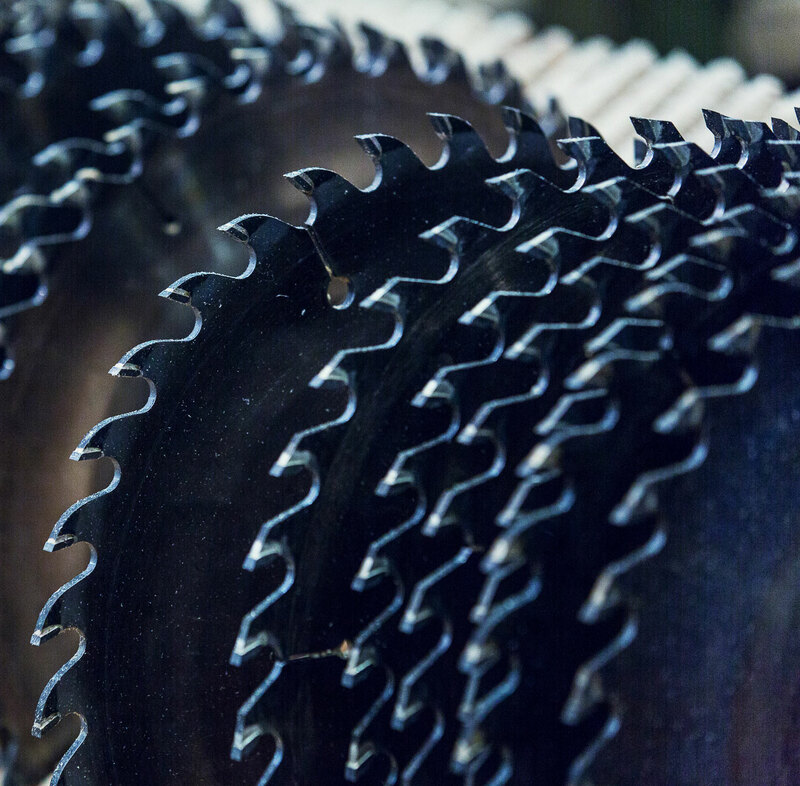 The long fibre structure of softwood sawmill chips guarantee excellen strengths properties for the pulp, which offers a competitice advantage to packaging applications, compared to eg. Latin American hardwood pulps. In addition, the sawmills produce bark, which is mainly used as biofuel for generating process heat for the sawmill. The dust, produced by the mills, is partly sold as raw material for the pulpmills, wood based panel mills and, mainly as biofuel to the combined heat and power plants. The mills buy one third of the annual roundwood volume and pay two thirds of the forest owners’ stumpage income. 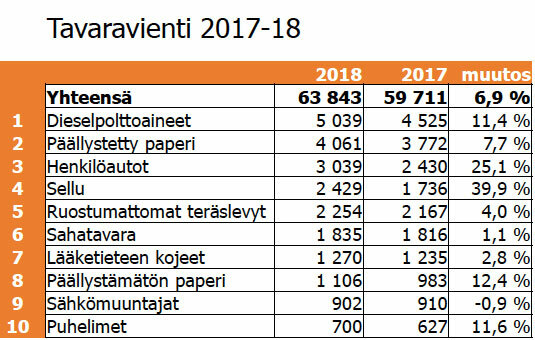 The profitability of Finnish forestry leans on successful sawmill industry. The sawmill industry employes 4000 employees directly and about 20 000, indirectly. The smallest sawmills are entrepreneur-owned immovable or mobile circular- or bandsaws. The annual outputs vary typically between hundreds and thousands of cubic meters. Many mills have focused on sawing logs of local forest owners on a rental basis, some market their products locally and in small scale, special products to the export markets. The independent sawmill industry consist of family-owned companies where the core of the focus and business is sawmill industry. The production of the mills vary from 10 000 up to 1,3 million cubic metres. The product range and marketing is targeted to selected, relatively small customers bot in the domestic and export markets. The output share of the independent industries is about 60% of the Finnish production. Within the largest forest industry groups, ssawmillling is a part of an integrated operations model where, on the top of the sawmill business, the sawmills have a vital role in wood procurement supporting the purchasing of pulpwood. In addition, the sawmills supply chips to the pulpmills within the group. The forest industry groups’ share of the Finnish annual output of sawn softwood is approximately 40%.